Proper planning helps local governments rebuild after disasters. Whether natural or man-made, disasters can wreak disruptive and costly havoc on infrastructure. A detailed recovery plan will ensure that your community has the right tools and step-by-step instructions to assess damage and capture funding for a fast recovery. After back-to-back Hurricanes Ike and Dolly devastated the Texas gulf coast in 2008, the Texas General Land Office used a programmatic approach to tackle 4,500 projects across 62 counties, or nearly a quarter of the state’s land area. The effort became one of the largest US public works projects ever undertaken. With the help of HNTB Corp.’s program management tools to track budgets, schedules, and the status of each project from concept to completion, the Texas GLO kept the behemoth $1.4 billion Texas Disaster Recovery Program moving and on target for completion in 2015. Lessons learned from recovery efforts following Hurricanes Katrina (2005), Ike and Dolly (2008), and Sandy (2012) have informed HNTB experts in the development of a predisaster “playbook” for fortifying disaster-prone areas, kick-starting recovery, and managing disasters before the next one strikes. Know what you’ve got. Following Hurricanes Ike and Dolly, HNTB worked closely with the Texas GLO to develop brief, one-page project summaries of each repair project that included a photo, map, condition index and value, scope of work, budget, and schedule. These summaries helped to expedite and maximize emergency funding. Local governments should have such information before a disaster, as diligent asset management practices help to ensure more reasonable reimbursement. Having documentation to support the pre-event condition of infrastructure is similar to having proof of your car’s mileage and repair history before a wreck. 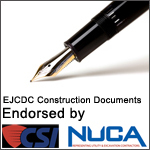 Follow federal requirements for evaluating and documenting infrastructure. Know whom to call. Identify qualified engineers, public works experts, economists, and others who understand the inner workings and challenges of bureaucracies. These individuals and companies can validate your asset management documentation and, following a disaster, relieve some of the recovery burden from local officials. Work with the state comptroller to establish an emergency procurement process for these experts to speed postdisaster responses. Know the rules of the game. Be fully knowledgeable of the emergency funding and grant process. Understanding what’s available and how best to apply for it will allow you to capture multiple funding sources and the maximum amount of reimbursement. Know where things are. It’s critical to update information on floodplains, special hazard areas (e.g., refineries, manufacturing, chemical storage) and critical infrastructure (e.g., airports, sewage treatment plants, hospitals) so you can clearly identify weaknesses to bolster before the next disaster. Communities with critical infrastructure that should be flood-proofed or elevated may be able to access federal funding for infrastructure hardening. By reviewing updated floodplain maps and disaster modeling, HNTB helped the Texas GLO capture Federal Emergency Management Agency funding and US Department of Housing and Urban Development grants that allowed the GLO to incorporate flood resiliency elements into infrastructure when rebuilding. That funding represented 15% of the $1.4 billion recovery program. As emergency agencies become aware of the high price tag for recovery, they will increasingly demand that local governments take hardening precautions on the front end. Just as you are required to have prepared emergency response plans for police, fire, and other municipal services, you also will be required to provide documentation verifying that public works and other infrastructure systems are in the best disaster-ready condition possible, if you hope to receive postdisaster emergency assistance. Know your teammates. Enter into mutual aid agreements with neighboring cities or counties and prepare detailed outlines of public entities’ disaster plans, including the sharing of resources, responsibilities, and costs. For example, if a flood hits a community that doesn’t have the resources for the cleanup effort, other communities may loan equipment to move debris. Systems should be established that outline available resources and track incurred recovery costs (per hour or day) to maximize and speed reimbursement. Create standardized workflows and operating guidelines, so everyone understands what must be done to ensure an activity is fully reimbursable. Governments can’t prevent hurricanes, floods, or droughts, nor can they predict when the next disaster will hit. However, using a programmatic approach, you can take preemptive measures to ensure that communities are returned to normalcy as quickly as possible and rebuilt with increased resiliency; resources are deployed quickly and efficiently for repairs or replacement; and budgetary and regulatory constraints are met while funding reimbursement is maximized. Tom Wendorf, P.E., is a program director for HNTB Corp. He has 25 years of experience as a former public works director for the cities of San Antonio and Missouri City, Texas, and is past president of the Texas Public Works Association.